Home/News/New Solarmeter® UV Index and UVB Lamp Meters for Reptile Husbandry Applications! 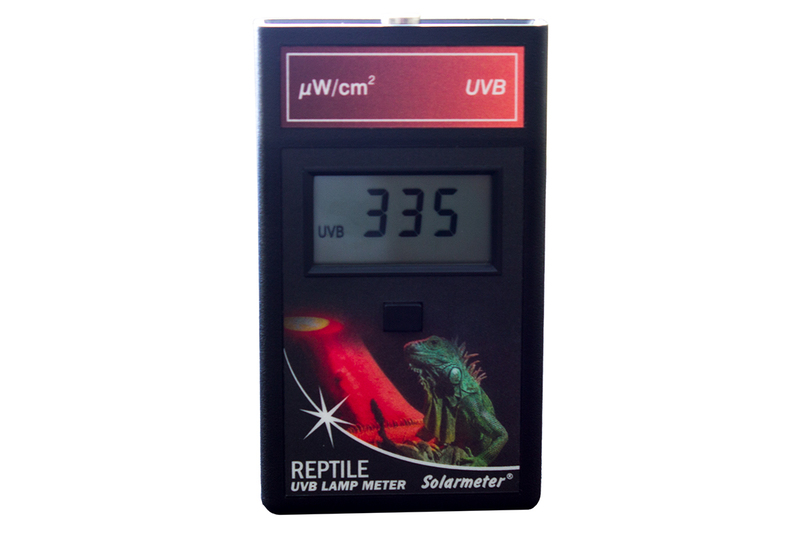 New Solarmeter® UV Index and UVB Lamp Meters for Reptile Husbandry Applications! 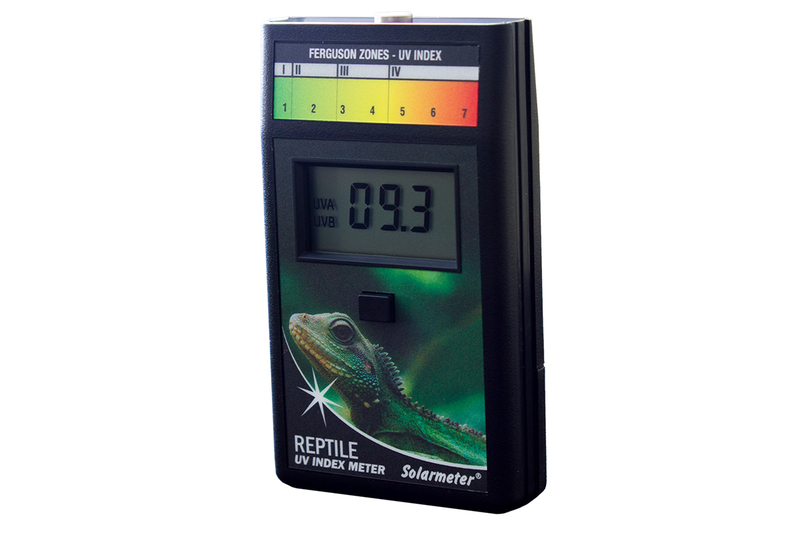 The new Solarmeter® Model 6.5R Reptile UV Index Meter and Model 6.2 UVB Reptile Lamp Meter are specifically designed for reptile husbandry applications. The UV Index Meter has been updated with attractive, informative graphics displaying the Ferguson Zone chart at the top of the meter. This chart provides the user with an instant, accurate dose reference for the meter’s UVI readout. Many scientists and breeders worldwide rely on the original Model 6.5 UV Index Meter, so the new Model 6.5R is completely unchanged operationally or in terms of specifications from the original. We just made this meter easier for reptile owners to use by updating the graphics with the latest scientific research about proper UV dosages for reptiles. Likewise, the new Model 6.2R Reptile UVB Lamp Meter updates the original 6.2 with reptile-themed graphics and a sleek new black case, while maintaining the exactly the same functionality that reptile owners have relied on for many years. Herpatologists, professional researchers, and reptile breeders and hobbyists are a vital customer base for Solarmeter. Dr. Frances Baines, Professor Gary Ferguson, and others have used Solarmeters to develop critical scientific data, such as the Ferguson Zones which categorize hundreds of reptile species into 4 distinct groups, each requiring a different UV dosage to thrive. Click here for more information!